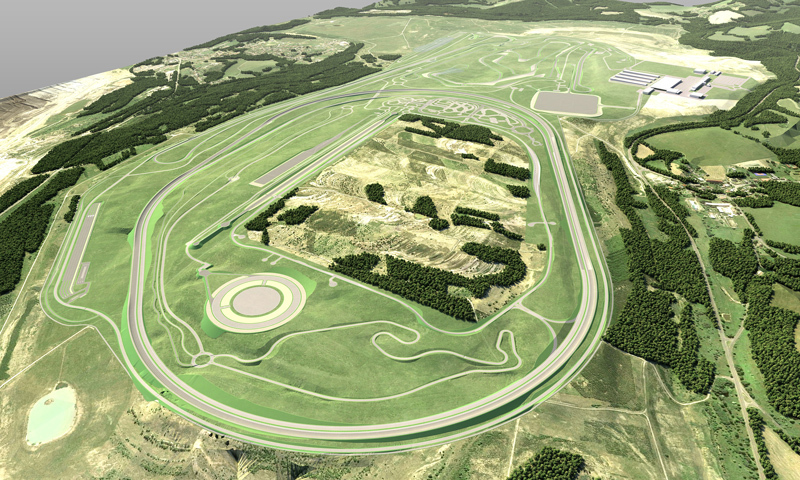 The Czech Republic is a whole other country from Germany, but where BMW is building a new test track, it's only a couple of hours from Munich. It will be the BMW Group's first development location in Eastern Europe and from the concept BMW released, it looks like it will provide some interesting driving. Don't look for a lot of BMW race cars or M cars to be using this facility, however. It's primary purpose is to test ground-breaking technologies relating to electrification, digitalization, and automated driving of BMW Group vehicles. The new proving ground in Sokolov in the Karlovary Vary region of the Czech Republic will take up just under two square miles of land. It is just across the border from the German town of Waldsassen and about 2.5 hours from Munich by car—maybe more if the car is self-driving. There will be a lot of traffic between the new facility and BMW's main research and development center, commonly known as the FIZ. Total cost for the project, which will employ several hundred workers, is said to be €100,000,000, or about $118,000,000. BMW anticipates the facility will open sometime after 2020. That probably means that most of the testing of the BMW iNext, which is due in 2021 and involves electrification, digitalization, and automated driving, will have to be done somewhere else until the final phases of the iNext's development.